Continued research into the mortality rates and stress physiology of elasmobranchs, more commonly known as sharks, skates and rays, has recently been published by New England Aquarium researcher Dr. John Mandelman. Bycatch, loosely defined as the capture of any non-target species in a fishery, is a serious problem facing animals, fisherman and scientists alike. 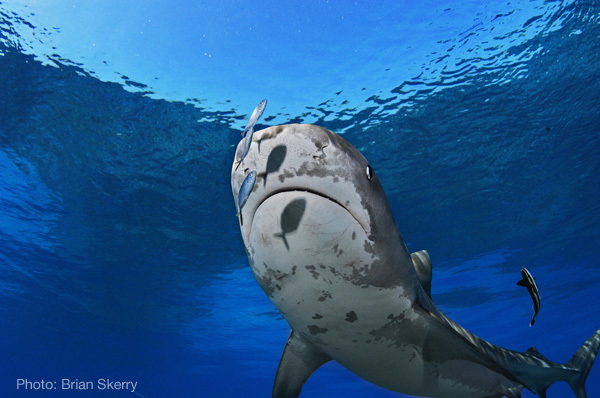 When the wrong species is caught it poses real economic, environmental and safety concerns. For the animals themselves, the stress from capture and handling event can degrade health and lead to immediate or delayed mortality. Mortality can also occur indirectly (e.g., such as in a case where the stress from capture/handling compromises the ability to avoid predators). 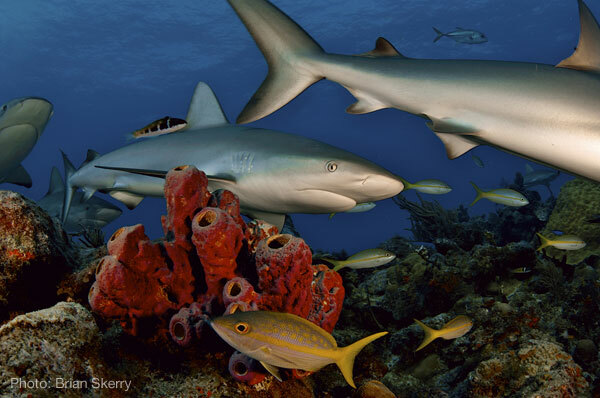 In this paper, The physiological response of the Caribbean reef shark (Carcharhinus perezi) to longline capture, the response of the Caribbean Reef sharks to longline (fishing) capture is investigated. It has been demonstrated in previous studies that elasmobranchs, such as sharks, can be deterred, to varying degrees, from fishing gear “protected” by certain lanthanide metals and alloys that can perturb the sensitive electrosensory systems in these fishes. In this paper, the effectiveness of one of these metal types is examined in two species under laboratory conditions: Behavioral responses to weak electric fields and a lanthanide metal in two shark species. In the paper Seasonal variations in the physiological stress response to discrete bouts of aerial exposure in the little skate, Leucoraja erinacea, the physiological response to prolonged air exposure, one inevitable component of fishing capture and release, is examined. Because seasonal effects are important to consider in fisheries, the study also examines how seawater and air temperature (i.e. differences between the two) influence the responses and associated rates of mortality. Despite a continued need for more research, an increasing number of studies have sought to evaluate the effects of human-induced stressors on sharks, rays and skates in recent years. The work to date is characterized in the newly published review, The physiological response to anthropogenic stressors in marine elasmobranch fishes: A review with a focus on the secondary response. In this review, Dr. Mandelman and co-lead author Dr. Greg Skomal reveal those areas in most dire need of research attention, and conclude that a lot more work is necessary to help maximize the conservation benefits of this area of work.